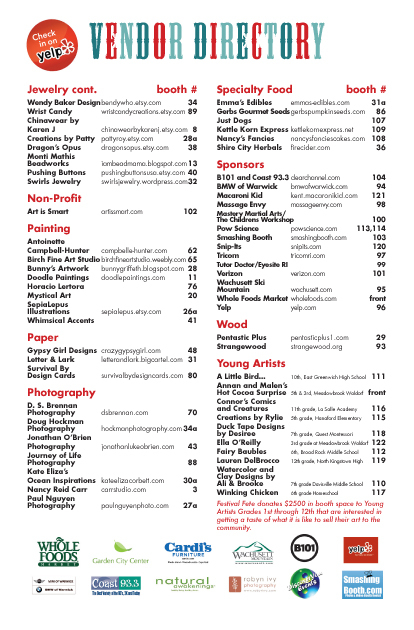 Art Events in RI This Weekend & a BIG Thank You! Last weekend’s Festival Fete Holiday Market was an incredible success and a whole lot of fun! We are so thankful for all of the great folks that came out to enjoy the event and support the arts, as well as the super talented artisan vendors and performers, the sponsors, Festival Fete friends, family and staff. We would also like to extend a special thank you to Garden City Center and Whole Foods Market Cranston for all of their support. Save the date! The next Festival Fete will be the Garden City Art Festival June 8-9, 2013. We are now accepting applications for Artists and food vendors for all 2013 shows. Please visit www.festivalfete.com for more details and an application. The always sophisticated and well-run RISD Alumni Art Sale is this weekend at the Providence Convention Center. All artists participating in the sales are RISD alumni or current RISD students selling original work including prints, photographs, apparel, ceramics, glass, textiles, and more! Please contact alumnisale@risd.edu with any questions. 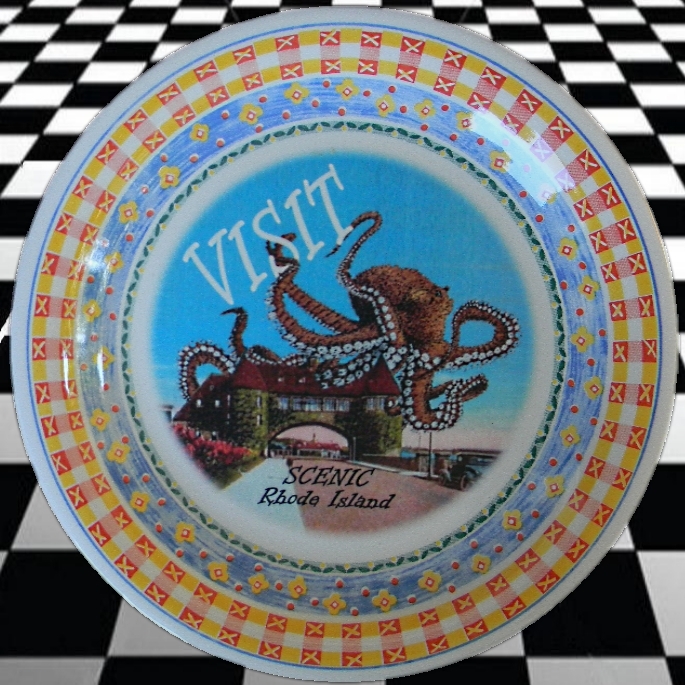 If you’re looking for more “Artful ways to shop” locally and in the smaller towns of RI, SoRhode Island online features a nice article that describes some venues south of Providence to explore. The Craftland show on Westminster Street in Providence continues this weekend until 12/24. I think I may check out the East Greenwich Library “Winter’s Eve” for a juried art exhibit and concert by The Hummingbird Trio. The event takes place tonight from 5:30 – 8:00 pm and it’s free. This is such a great time of year for socializing and shopping in festive venues – the options are endless! Please share with us what events you will discover this weekend by commenting below. 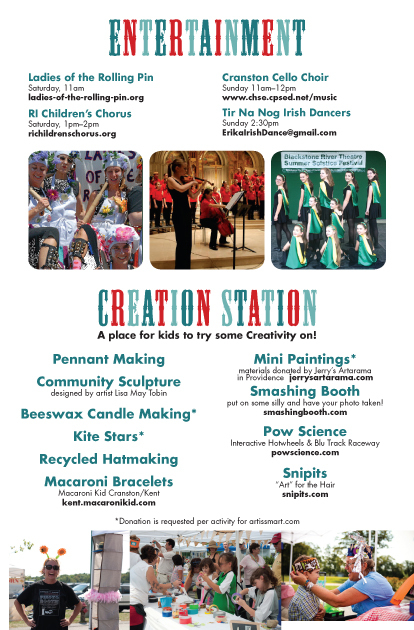 Fantabulous (Local) Artists at the Holiday Market! 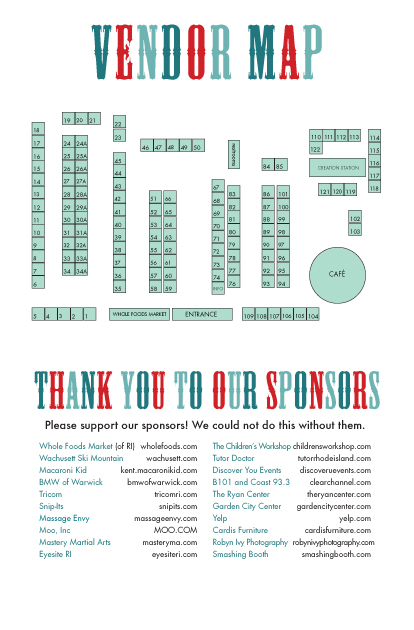 Here it is – the wonderful line-up of artisans, crafts people, specialty food vendors, young (student) artists, and sponsors all put together in one magical place to make your holiday shopping experience fun! 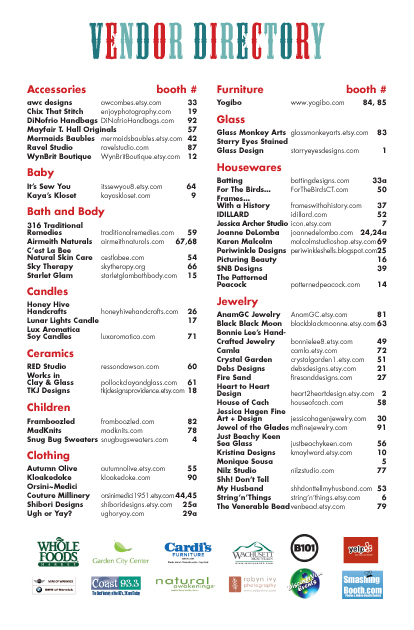 After months of planning, Festival Fete’s Holiday Market is almost ready to open the doors and welcome you in! Make sure to pick up a playbill when you arrive and look for all the fun things to do – a scavenger hunt, penny social, delicious treats and free gift wrap! Chips, Soda and Chocolate Chip Cookies…yum! 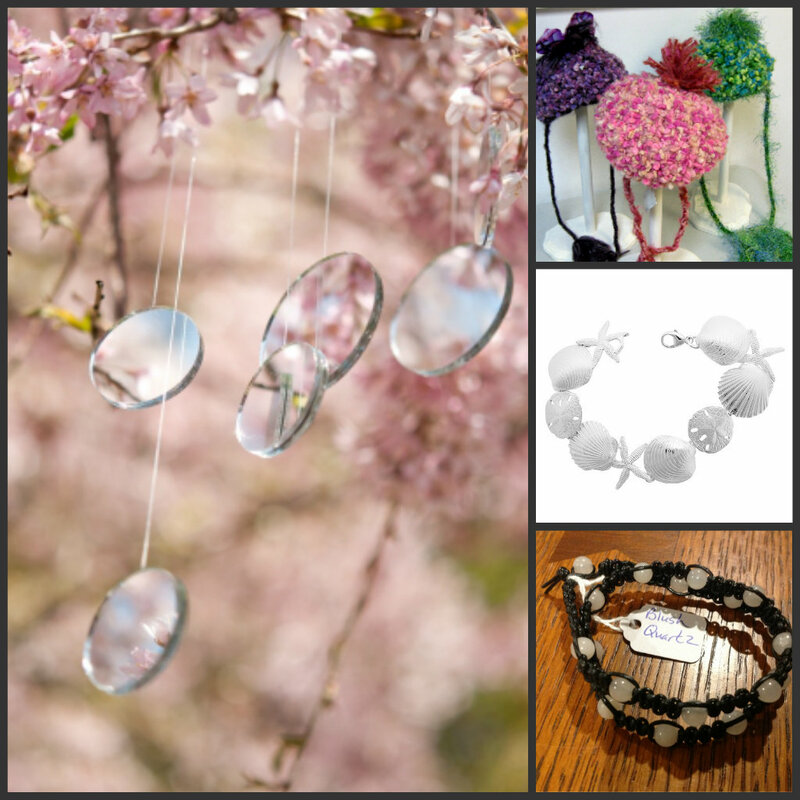 Art Events in RI this Weekend – I’ve got a great one for you! Hours vary by day so check their website before you go. We hope to see you at Holiday Market this weekend – Saturday and Sunday from 10am – 5pm daily in the former Borders Bookstore space, Garden City Center, Cranston. Many thanks to all of our sponsors including Wachusett Mountain. This is the holiday shopping experience we dream of…cheerful faces, creative eye candy everywhere you look, holiday songs and food…folks of all ages being entertained (while inside your head you’re debating whether to buy that really cool item that would look so great in your window but really you should be buying presents for your family…) Yes, it’s truly happening this weekend at Festival Fete’s Holiday Market in Garden City Center. 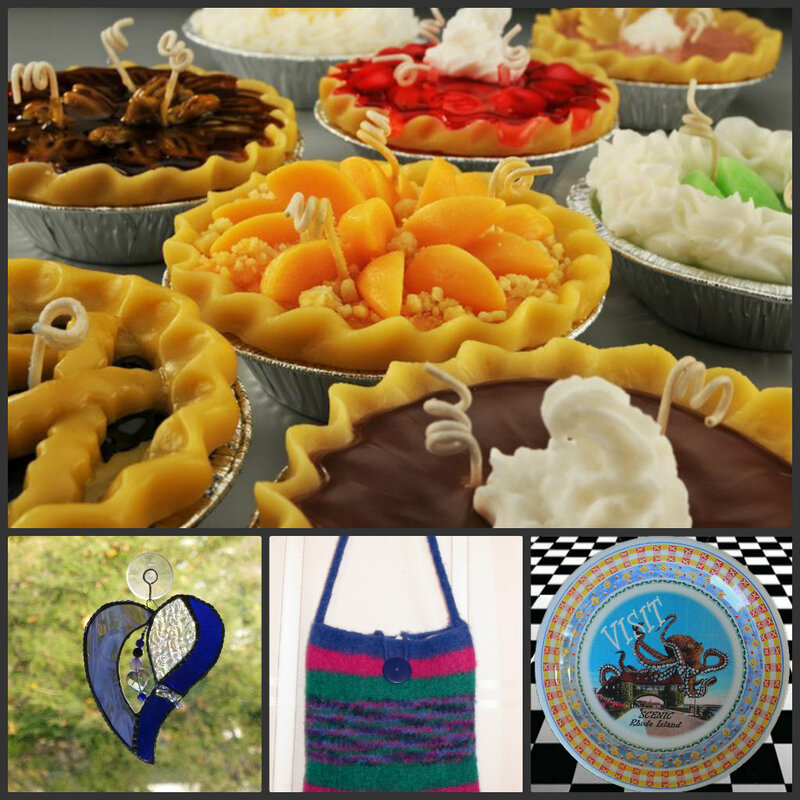 There’s so much fun to be had at Festival Fete’s Holiday Market – this weekend – Saturday and Sunday from 10am – 5pm. So join us in the merriment! Many thanks to one of our sponsors, Smashing Booth! Be sure to visit their photo booth at the festival near the Children’s Area. There are many artists that have generously donated a piece of artwork to the Penny Social because they want to support Art is Smart – and we are so grateful for them! All of the money raised from the Penny Social will go to Art is Smart, which raises funds to support public education art programs. Penny Social tickets are 4 for $1 or 24 for $5. 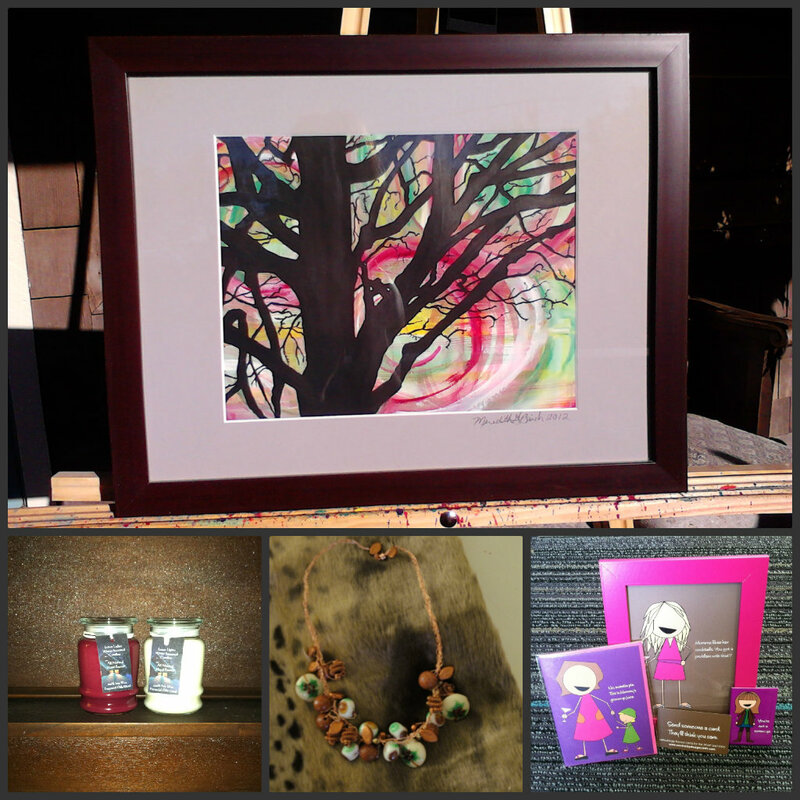 Be sure to stop by the Penny Social booth at Festival Fete’s Holiday Market this upcoming weekend, Dec. 1st and 2nd to see what fabulous items you can win and help support Art is Smart! Many thanks to Inskip Mini and BMW of Warwick for their sponsorship of Festival Fete’s Holiday Market 2012! Here is another sneak peek at two more artists that will be at Festival Fete’s Holiday Market next weekend – December 1st and 2nd from 10am – 5pm at Garden City Center. Jewel of the Glades jewelry is a line of jewelry created by Hillary Collins-Rezendes, her husband, Nick Rezendes and her father, Dennis Collins after being inspired by the flora and fauna in the Florida Everglades. 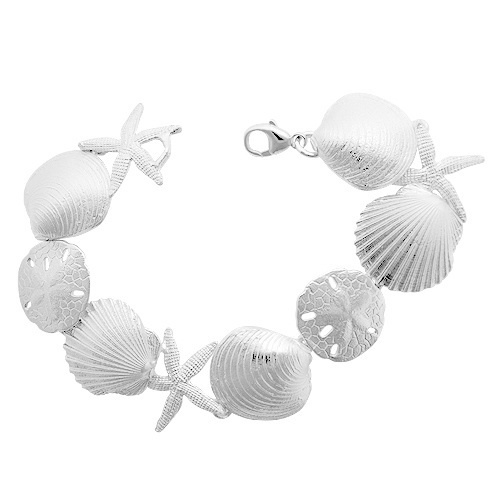 M&D Fine Jewelry originally began as a New England nautical jewelry company. Then after spending time in Florida, the influence of design changed to incorporate broader nautical themes. The trio hand make 14K gold and sterling silver jewelry by finding shells and sea creatures on the beach and/or hand carving wax into various sea themed pieces and casting using the lost wax process. Each piece is then hand soldered, stone set, and polished. I have spent my entire life surrounded by jewelry! My parents have been in the jewelry industry for 40 years. I spent my college summers putting together bracelets and my (future) husband was learning to solder them. Although my mom died of pancreatic cancer last year, she inspires us in all that we create. Our goal is to continue making jewelry that people enjoy. That was always my mom’s spirit in the pieces that she designed. It thrilled her tremendously, when people expressed their joy in our work and it’s what we continue to strive for today. Our dream project is to reopen our studio in Everglades City, Florida. What kind of research do you do for your art? Spending time at the beach, of course! All kidding aside, inspiration does come from nature and we make sure we spend time relaxing and enjoying it. What do you think makes your work unique? All the time and energy put into our work! 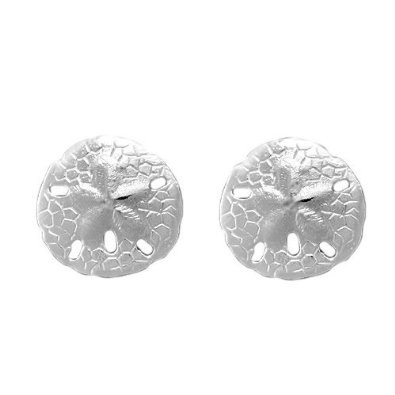 That and our pieces reflect actual shells we’ve found on the beach along with hand carved pieces. Are there any “fun facts” about you or your business that you would like to share with our readers? Our best salesperson is our 18 month old daughter, Emaline. From wooing the patrons with her pigtails, running laps around a show, to proudly wearing (and testing the strength) of our bracelets, she does it all with a smile. 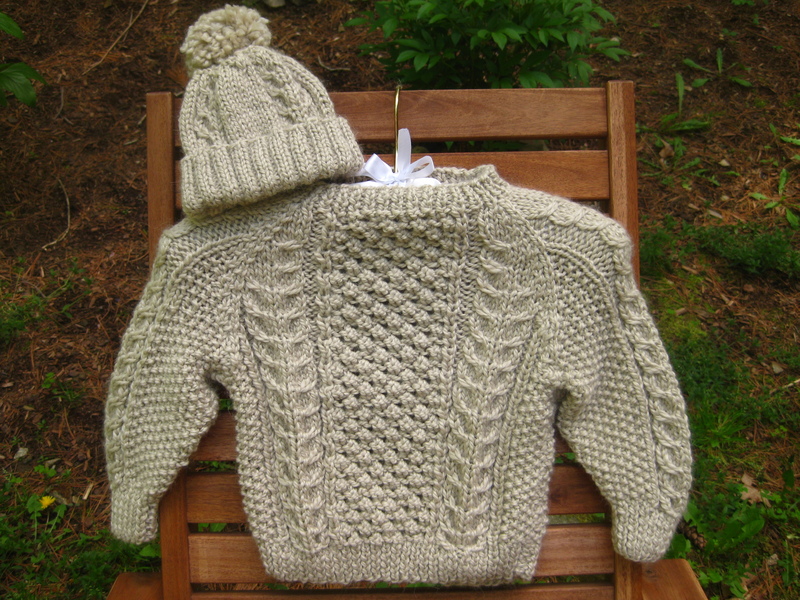 The mother and daughter team, Snug Bug Sweaters will also be at Festival Fete’s Holiday Market this year. Linda does the knitting and her daughter, Allyson takes care of the business. Linda says that she enjoys sharing the time with her daughter and she has met so many great crafts people since starting the business three years ago. 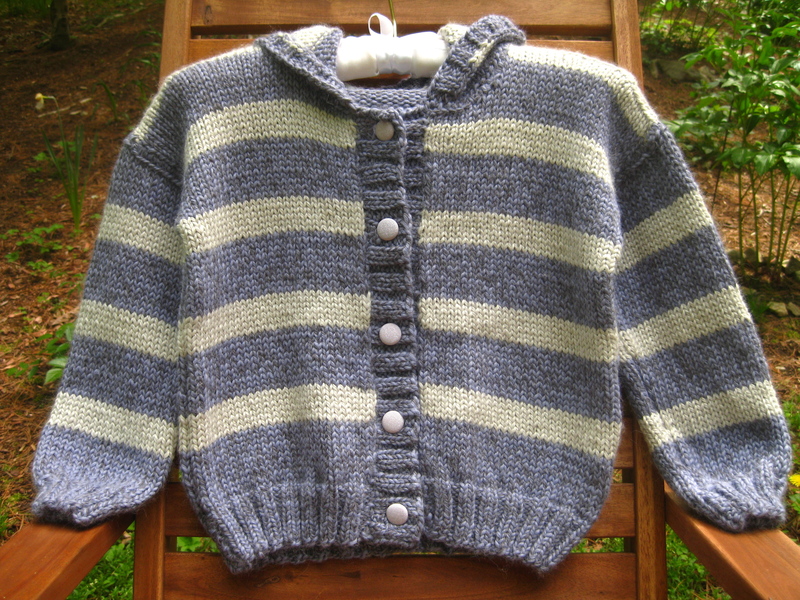 I love designing patterns, trying different high quality yarns and looking for buttons that make each project special….I go all over the internet looking for different ideas and materials and we are so looking forward to participating in Festival Fete! While in Garden City for the Holiday Market, why not stop in at Massage Envy and pick up a few gift cards? We are so thankful for their support!